Honeywell turbochargers have new distribution. Turbocharger manufacturer Honeywell Garrett has appointed Teeside-based Turboactive as a ‘master distributor’ for the UK and Northern Ireland. 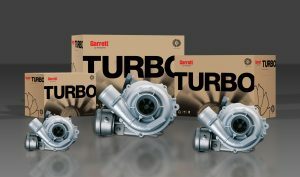 Rival distributor BTN Turbo is also a master distributor for the brand, and will continue to be so. ”We are very excited about being appointed a Garrett Master Distributor as it marks a significant change in customer choice, it enables our customers to choose from a huge range of turbos for all sectors-both new and remanufactured” said MD Steve Bush.